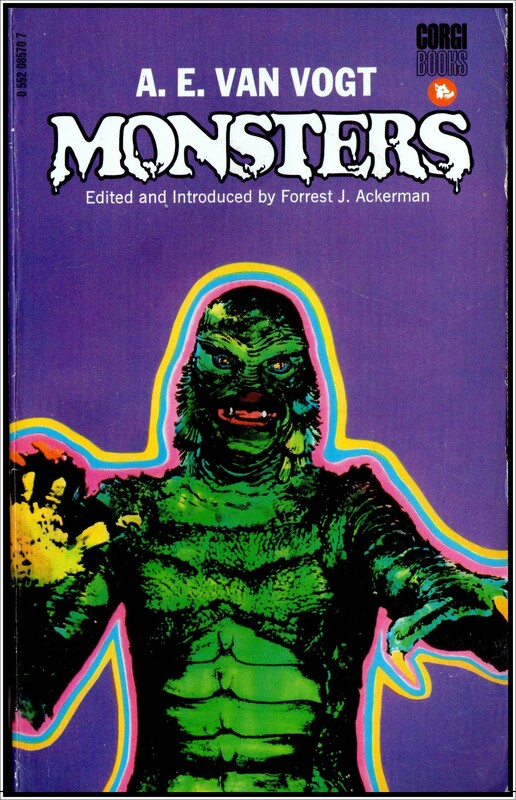 MONSTERS – Eight tales of terror by A.E Van Vogt. 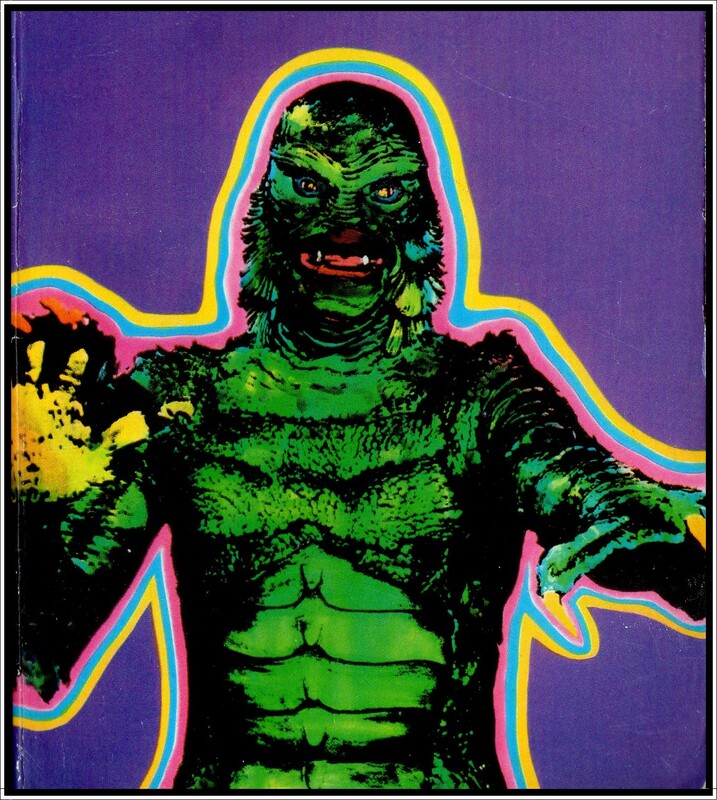 What amazing artwork – I can only wish my aura is as spectacularly colourful as this cover model’s. 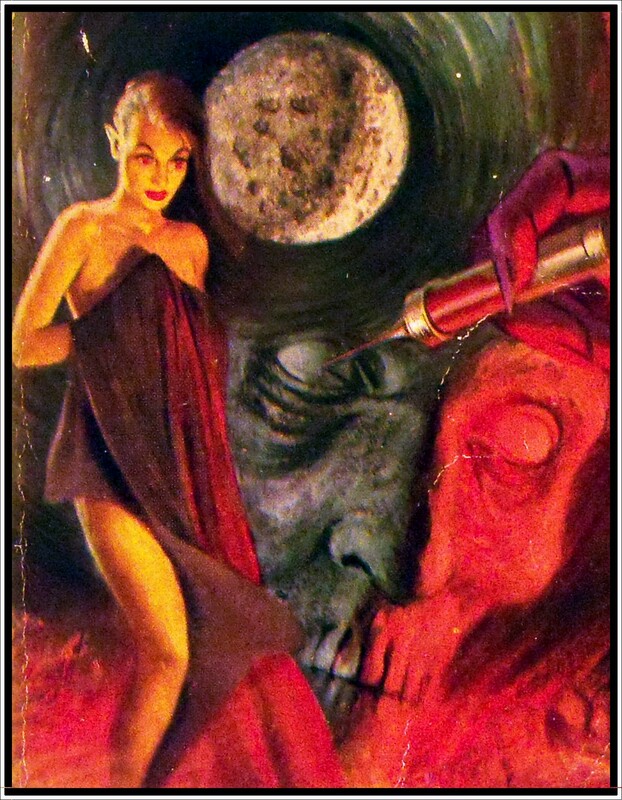 Posted in books, books and more books and tagged a.e.van vogt, books, classic horror, Cover art, horror, monsters anthology, pulp paperbacks brighton, vintage horror, vintage paperbacks. Bookmark the permalink. 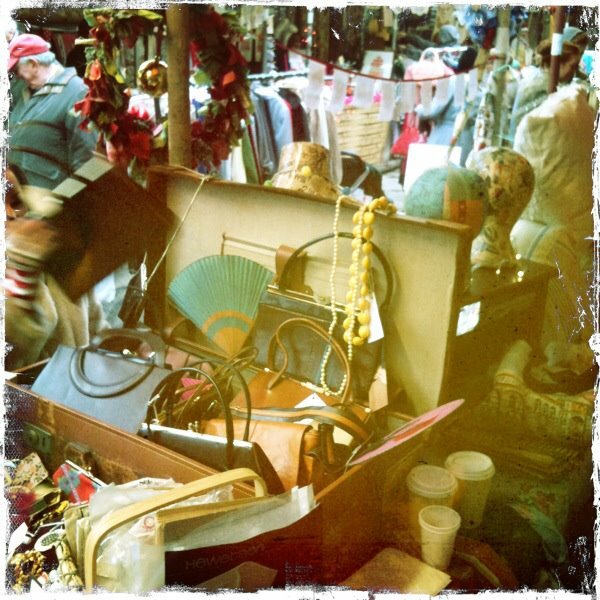 With only days to go till the fabulous Diplock Yard Vintage & Makers Market throws opens its door for another season of handmade, craft and vintage loveliness. Held on the 2nd and 4th Sunday of every month the Yard re-opens this month with a suitably spring themed market on Sunday March 11th. We’re going to be there with lots of horror and vintage pulp to chill the cockles of your heart so please stop by and say hello. Thereafter we will be at the market every second Sunday of the month. They are always looking for more stalls and are always open to ideas – Bingo….jam stalls….clothes alteration….pet accessories…10 minute massage stalls….pop-up art exhibitions….flower stalls…..The more the merrier and weird is always good! So whether you’re a potential stallholder or you just want to pop by for a cuppa and a browse, follow the links below for more information. Diplocks Yard (73 North Road, Brighton) is just a few minutes walk from Brighton Station, is open from 11am to 5pm and is free. Follow The Yard on Facebook: HERE. Posted in books, Events and tagged books, brighton bookshops, brighton events, brighton markets, brighton shopping, pulp paperbacks brighton, the yard, the yard vintage market, vintage paperbacks. Bookmark the permalink. How do you hypnotize a patient? How are mental and emotional problems solved by hypnosis? This quite remarkable and dramatic book debunks the myths attached to the science – for instance that people can be hypnotized against their will, or if hypnotized can be made to perform actions inconsistent with their character. 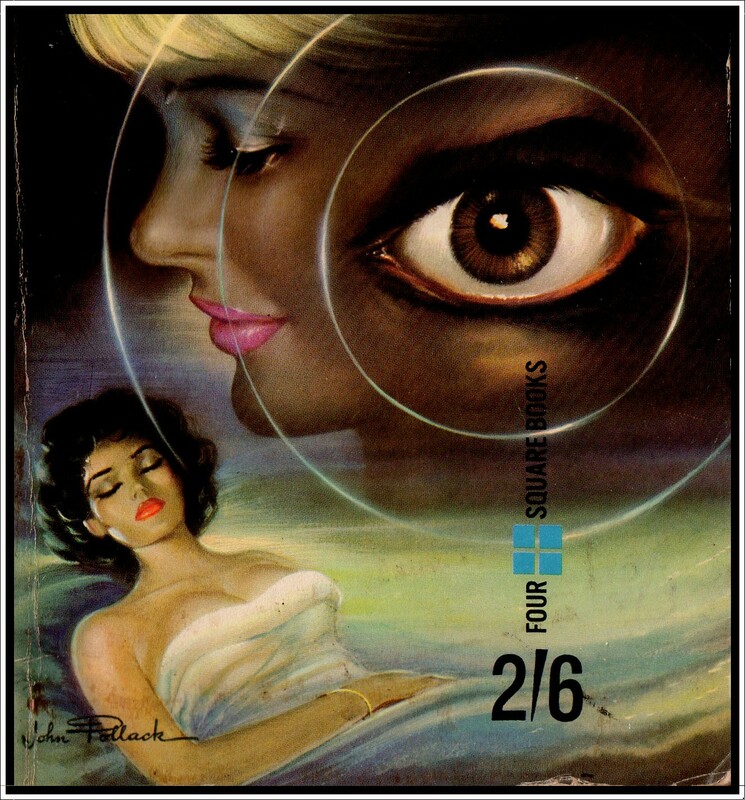 This one’s for all you budding Peter Powers out there – I must say, I love the cover art on this one. 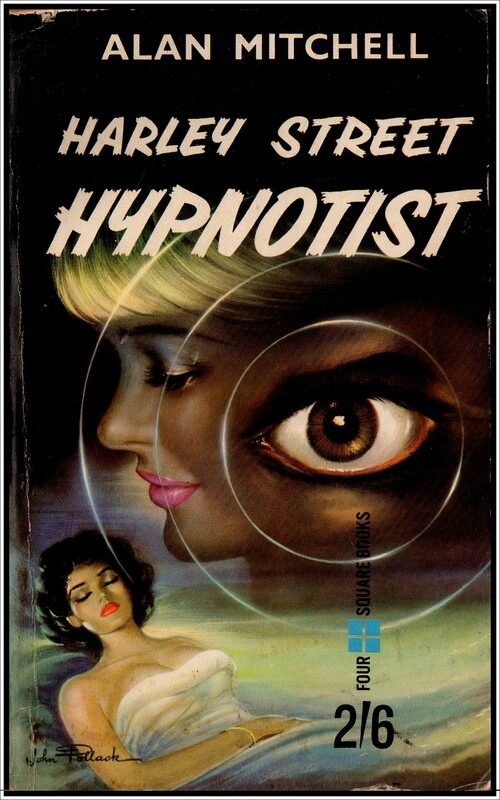 Posted in books, books and more books and tagged alan mitchell, books, Cover art, four square books, harley street hypnotist, Hypnosis, john pollack, pulp paperbacks brighton, vintage books. Bookmark the permalink. 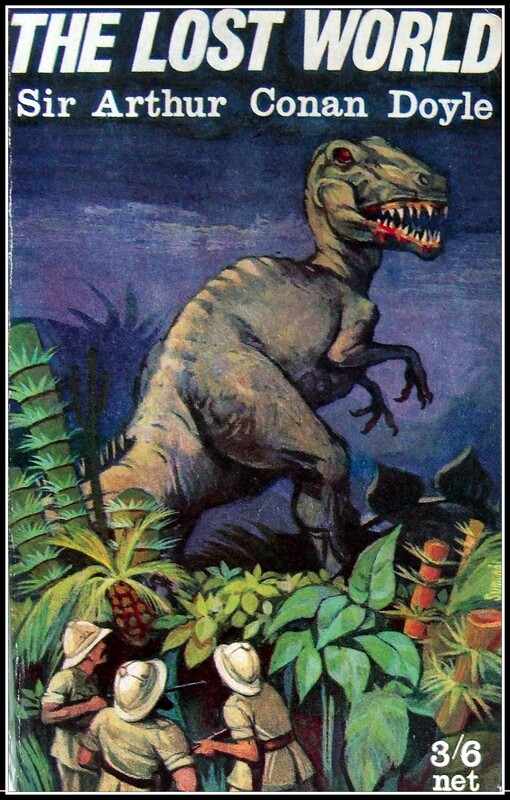 The tetraploids, giant men and women created by genetic experiment, only wanted to live their lives in peace, but they had to live in a world of the jealous ‘normals’ who gathered in screaming mobs with murder in their hearts. 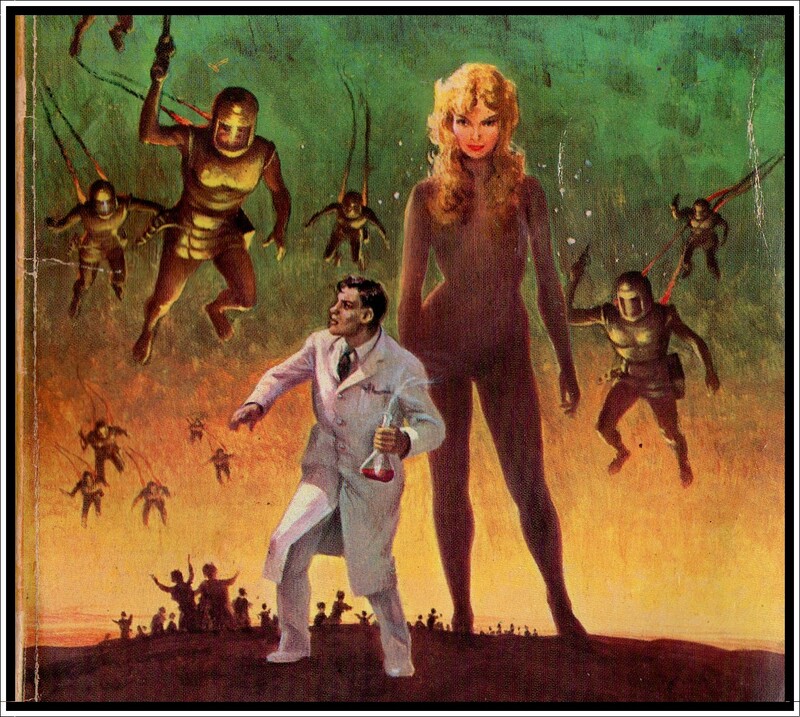 Sena, the heroine of this remarkable science-fiction novel, is a tetraploid giantess whose youth would last more than a century, who looked with wonder at the toy bridges and houses of normal men and women who regarded her with fear and revulsion. Beautiful, defenceless Sena was the first of a new race, but would she be allowed to live…? Previously published in the USA by the Berkley Publishing Corporation in 1961. First Foure Square Edition 1963. 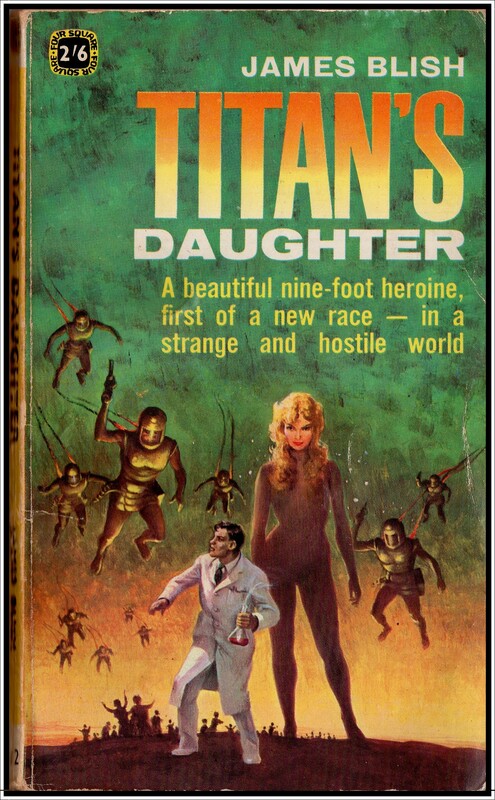 Posted in books, books and more books and tagged books, Cover art, four square books, giantess, james blish, pulp paperbacks brighton, science fiction, titans daughter, vintage paperbacks, vintage science fiction. Bookmark the permalink. It began in Union City when they brought in the man who screamed before he died, his flesh a mottled gray. Then it spread. The disease hit South Bend. Then Chicago. Men dying. Their skin a lead gray, their lips browned, and screams tearing their way up through throats that leaked blood. Always men. Never women. And then it was all so fantastically clear. 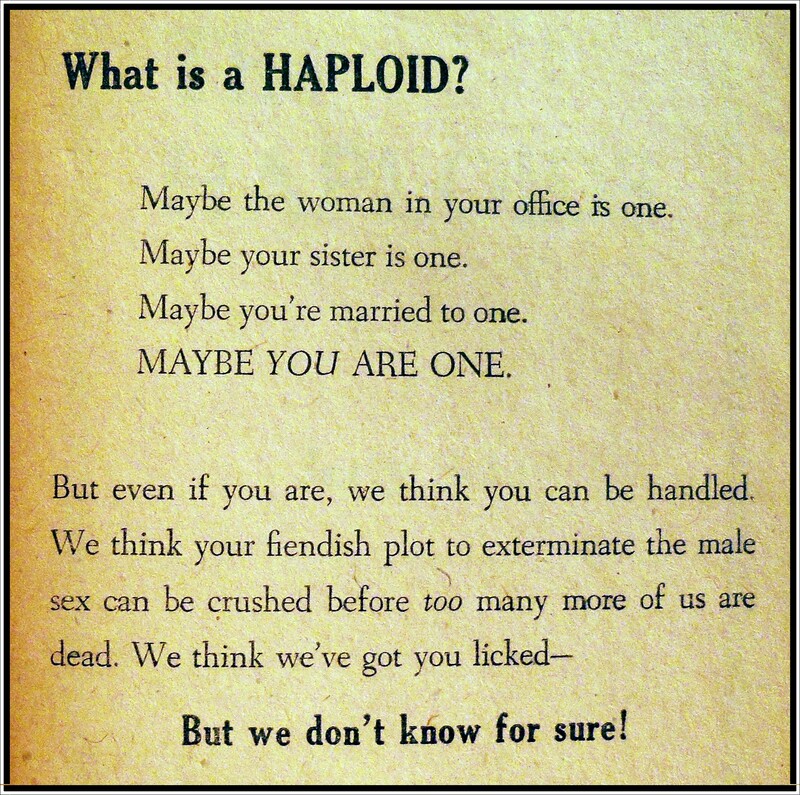 Men were being exterminated, and a master race of haploid women were going to rule the world. And nobody could stop them. Copyright 1952 Jerry Sohl. 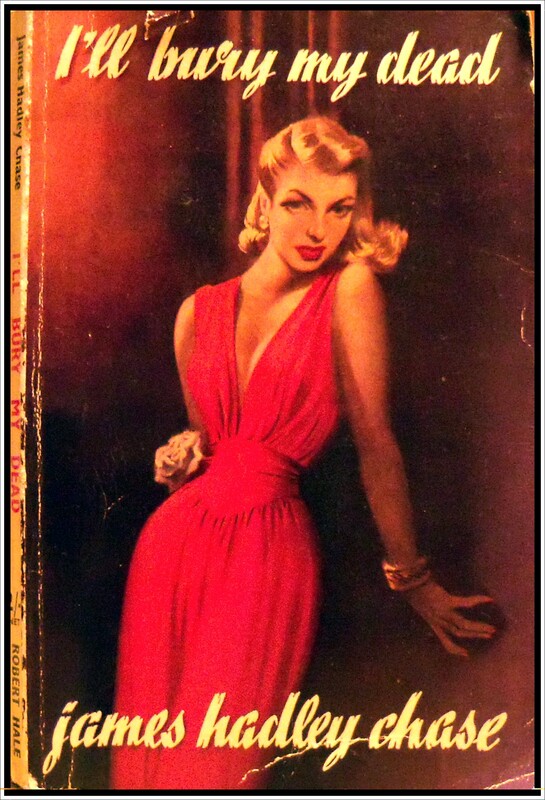 First Lion Edition January 1953. Dedicated to Dr Wayne Wantland, who created the first Haploid. And nobody could stop them…. Well, my money’s on Travis, the hardbitten news-man laid up in Union City hospital the night they brought the first haploid victim in. Maybe it was the horrible death he just witnessed or the oh-so peachy blonde with a syringe seen skulking around the dead guy’s room, but his curiosity has been aroused and he’s not letting go. 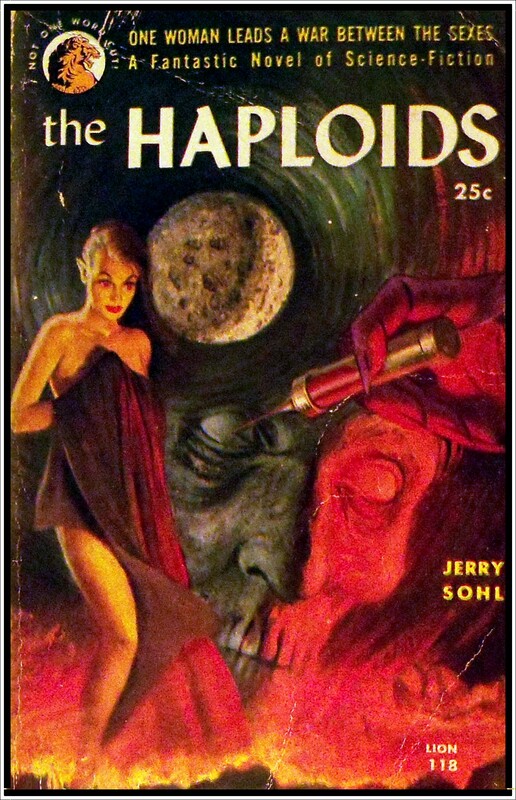 Posted in books and more books and tagged female master race, Jerry Sohl, lion books, pulp, pulp paperbacks brighton, the haploids, vintage books, vintage paperbacks. Bookmark the permalink.